The difference between the surreal and the mundane is shown to be negligible in this fine collection of essays and stories. Vint, an accomplished Estonian painter and author of numerous works of fiction (An Unending Landscape, 2012, etc. ), has a new feast on offer: a peculiar blend of fiction and autobiography in which the conventions of both forms are thoroughly interrogated. The first half of the book consists of essays about Vint’s life. Though not comprehensive, the essays cover his childhood, his entry as a young man into the Estonian/Soviet art world of the 1960s, and his experiences as an older man, as well as his marriage to the artist Aili Vint. 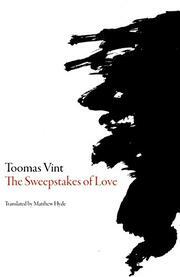 The essays describe Vint’s life in what was first a small Soviet republic and then an independent one, but they also seem to verge without warning on the surreal, if not the outright fictional. In one, he describes becoming aroused by a woman seated next to him on the bus whose body brushes against his own. When he turns to look at her face, however, he realizes she’s dead. Blood trickles from her mouth. Did this really happen? It doesn’t seem to matter, and either way, Vint offers fair warning for his hazy merging of the real with the unreal. In his first essay, “That Wonderful Hairy Beast Called Fib,” he recalls learning to tell lies as a young boy: "In the end,” he writes, “you have to make the whole world somehow fit with some little lie that came into your mind quite by chance, significantly revising the whole of reality in the process.” This revising technique is wonderful, but less wonderful is Vint’s habit of self-centered, self-referential reflection. At times he seems full of himself, uninterested in the world outside his own art. For that reason, the stories are stronger than the essays, because they force Vint outside of himself. In one of the best, a man comes to the realization that he is in fact a dog and has always been one. Then his marriage falls apart and he struggles to find work. Like Tetris pieces, the stories click into place alongside each other, some picking up where the others left off, offering new perspectives on narratives already delivered. In another story, the man who is a dog is taken in by a lonely woman who answers a newspaper ad. Throughout the collection, Vint’s commentaries on the absurdity of daily life are remarkable. He wouldn’t be out of place at a table headed by Salvador Dali. A magnificently strange compilation offers a fun-house mirror view of contemporary life.